The Avant Garde Diaries is a collection of short video interviews with artists from a variety of disciplines -- food to music, furniture to architecture. The videos give insight into each individual's creative process and sources of inspirations. Sometimes conversations are held between an artist and their inspiration, which add a deeper level of intimacy. The well-produced videos use wonderful angles and colors to bring the artists and their work to life. Each piece makes me feel like I am sharing a private moment with a new friend, discovering their passions and what makes them tick. In this way, they become oddly familiar very quickly, as if you could pick up the phone and invite them out for a drink right away. That feeling is a testament to the ability of Avant Garde Diaries to craft a film. 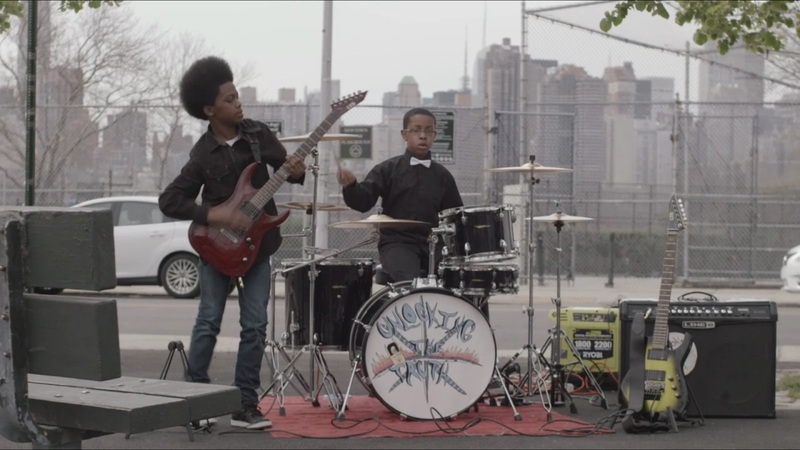 One of my favorite videos -- and the one which introduced me to the site -- follows the "career" of two kids from Harlem who play rock on the streets of the city. Jarad Dawkins and Malcolm Brickhouse express their love of metal and their unique passion in a neighborhood that often doesn't appreciate the style of music they play. "I know there's a lot of people who doubt me, but I don't listen to those people," remarks one of the kids in a statement that is wise beyond his years. Their attitude and approach to music despite their community's disapproval is inspiring to me. To veer in our own direction carries risks, for sure, but there is also a thrill and sense of accomplishment to be gained. These kids have learned that lesson early. Explore these videos and find some new friends to push you in your endeavors. Be surprised at the source of their passions and the degree to which they influence yours.